Our lives can be viewed as a journey. Intertwined on our path are lessons. Lessons - some easy - some difficult - some we need to repeat over and over - unable to grasp their meaning the first time. Beginning with our first breath we are on an adventure! Having lived through this adventure for some forty plus years now, I have come to a few conclusions - one of them being - "when we know better - we do better". We cannot review our past and be overwhelmed with regret. The choices we made on how to live, act & react in the past were made based on the knowledge we had at that time. 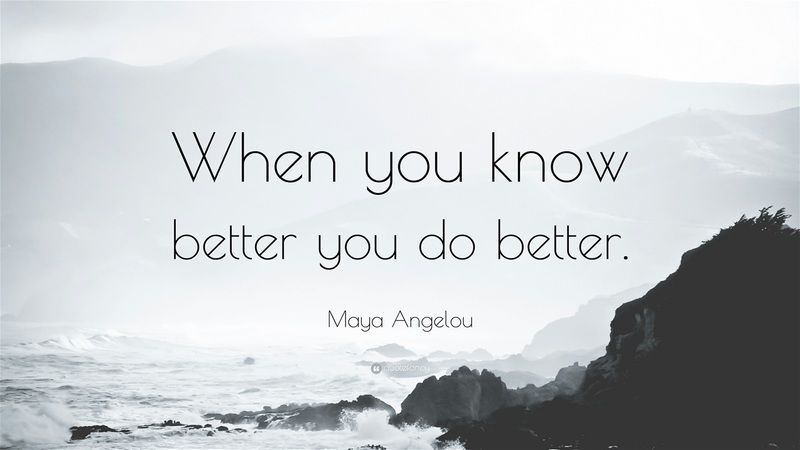 Now, when we know better - we do better. Absolutely EVERYTHING that has happened in my life has made me who I am today. I WOULD NOT CHANGE A THING. Today I would never allow a man to raise his hand to me. I would never allow a boss to treat me with disrespect. I would not put myself in a position that does not serve my highest and best. Those are lessons that I learned along the way. I now know better... So, I will do better. I refuse to have regret, it serves no purpose. It is a waste of energy. I refuse to view myself as a victim, that serves no purpose - it is also a waste of energy. I accept responsibility for the choices I have made along the way. Good and bad. 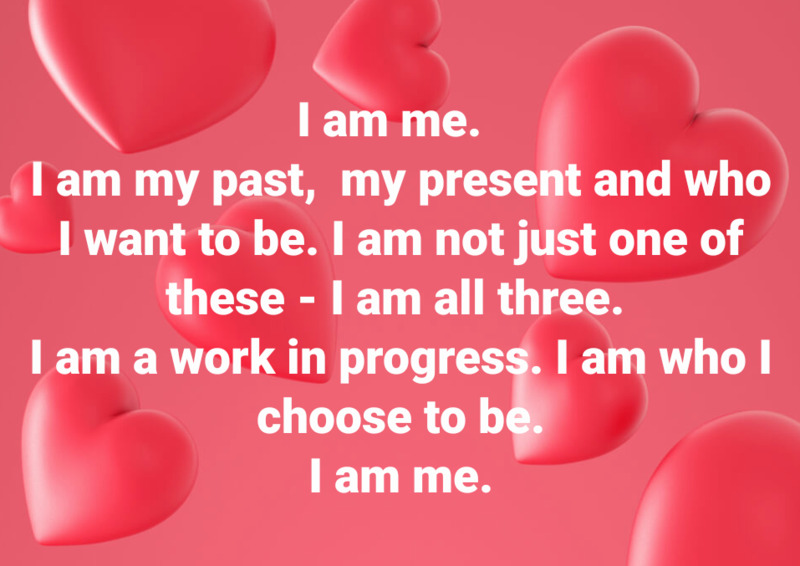 Those choices have defined me - I have learned from them all. I believe this to be one of the secrets of the journey of life ... Learning from our experiences to grow into better versions of ourselves. I cannot condemn the me from the past. The 20-year-old version, the 30-year-old version, even yesterday's version. I choose to embrace the me of the past - love her (flaws and all) and venture into the future together - stronger because of the choices we've made - the lessons we have learned.